The NFL’s most unorthodox dynamic duo are back at it again. Following the knee injury to Ryan Tannehill, the Miami Dolphins needed a quarterback. Enter Jay Cutler. 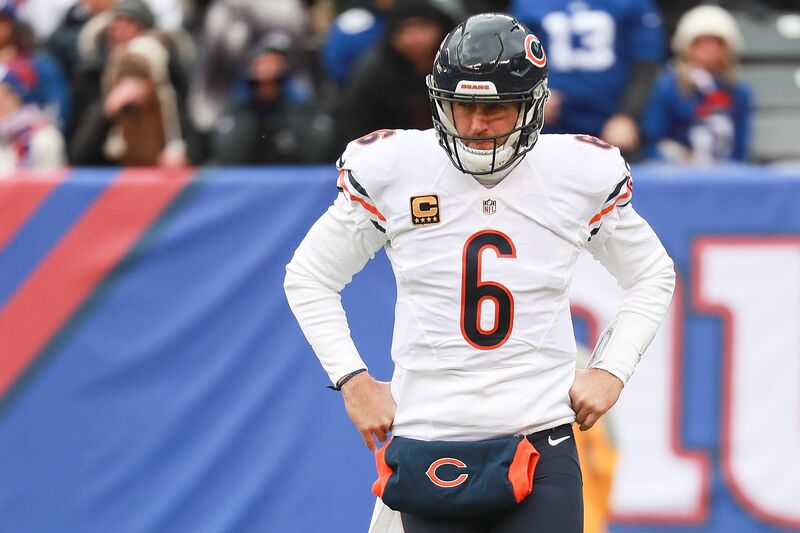 Miami found a way to convince the former Bears quarterback to end his brief retirement and come play quarterback on a one-year, $10 million contract. Surely Miami’s head coach Adam Gase, the Bears’ former offensive coordinator in 2015 with Cutler, had to play a big part in him returning. Cutler could be the answer the Dolphins need in order to have any success this season after making the playoffs last year in Gase’s first year as the team’s head coach. However, it’s never easy to move into a new situation especially one this sudden. Nevertheless, in today’s social media age, word travels fast, and Cutler may already have found a home in Miami, courtesy of none other than Brandon Marshall. The two were long-time teammates in Chicago and Denver. They produced great numbers together but had a bit of a falling out when the Bears let Marshall go prior to last season. It appears they have cleared the air as the former Dolphins wideout has opened his home up to the former Bear. As both men begin new journeys, it’s funny to see some friendly banter after two years of acrimony. Rolling with the former Cutler like the smart move for Miami. The other options outweighed the risk in bringing in Cutler, and going with a backup quarterback, Matt Moore, was one of them. Moore had a very decent showing against the Steelers in the playoffs last year, but the 30-12 blowout in said game could prove to be a hard reason to roll with Moore. Cutler will be getting thrown into the fire in already bolstering hot Miami. With Gase and a solid core of receivers around him, he may find decent success and show that maybe all his career needed was a change of scenery.